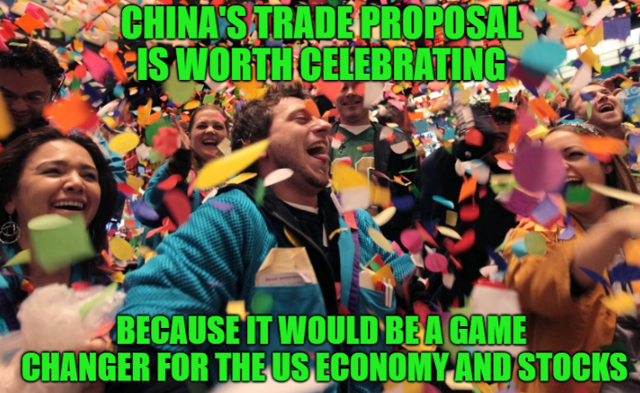 China’s new offer to boost US imports by over $1 trillion could turbocharge both the US economy and the stock market for many years to come. Find out just how good things could get for US workers and your portfolio. Stocks have been ripping higher, thanks to improved sentiment on a dovish Fed and hopes of a great trade deal with China. Last week came news of a Chinese proposal that could be a game changer. China is willing to increase its US imports by more than $1 trillion over six years and eliminate the trade deficit by 2024. That would boost US GDP by an average of 0.9% per year (3% in 2024), which would have massive positive implications for US workers and corporate profits. It could also likely push off a recession for several years, clearing the road for the longest bull market in history to continue for the foreseeable future.